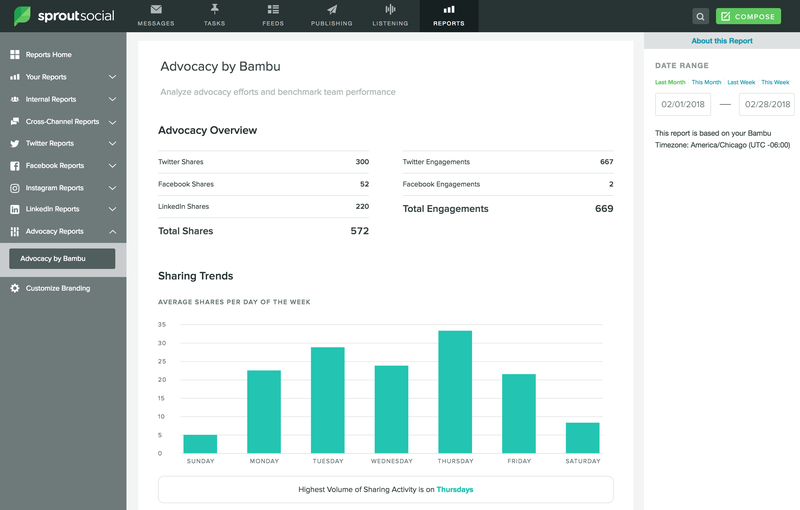 The initial integration of Bambu and Sprout means teams can readily access data to evaluate how social marketing and employee advocacy efforts work together for a more holistic social strategy. If your team is using Sprout, but is unfamiliar with our Bambu solution, we’d love to show you more. Stay tuned for more updates and be sure to let us know any feedback!